If I could choose just one back to school tip, it would be be build, build, build your kid's immunity by vitamin supplements! Last year I was slammed the first week of school with colds, coughs and sore throats and by the following week, one of my children was already missing a day from school. So this year, I have a plan. 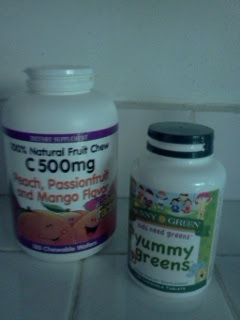 I've been giving my babies vitamin C and "greens" supplements to build up their immunity. 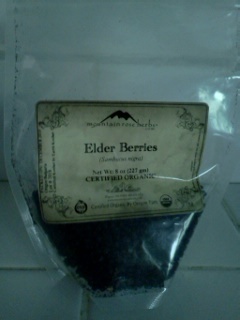 My next goal to to make some Elderberry Syrup! As you can tell, I've made quite a few batches of it. It's the simplest thing in the world to make you'd be amazed at how much money is saved just by making it yourself. I will be posting the recipe soon, so check back for it. One more tip, make sure you momma's build your own immunity as well, Echinacea is a good immunity builder. Breast Feeding moms can safely take this herb, but avoid Golden-seal. If you're unsure which herbs work well, there is a E book for Herbs for Breast Feeding moms on the left side bar. Check it out. Things are a go, go, go this week for me. My eldest child registered for high school for the last time and my second daughter turned 10....just a few more milestones under my belt! Enjoy your time with your babes, it'll be summer again before you know it! This blog is all about growing and evolving! My eldest will soon begin her sophomore year of college! I no longer recommend a chew-able tablet for vitamins! The reason being; fillers and binders (labeled as inactive ingredients) used to hold products together are typically synthetic. Unless your tablet is certified organic, there's no guarantee that fillers in tablets are not synthetic and even then, you should do investigative research. Additionally, most tablets contain fructose and sugars that contribute to obesity as well as synthetic vitamins that do absolutely nothing for you and may actually be harmful. My recommendation would be to stay away from most vitamin supplements in the marketplace. There are a few good vitamin supplements, but I believe your body assimilates vitamins and nutrients much better when it comes directly from a food source. Super Food Nutrition from Miessence (I am independent representative for a reason!) have loose power supplements (no fillers). They are certified organic, pure and very potent! I cannot recommend probiotics enough for immunity building. They are essential to the body in breaking down and receiving needed nutrients from food. Probiotic literally means FOR LIFE. Read my most recent post The Raw Deal on Probiotics. Wishing you all a healthy back to school transition! Disclaimer: The information and products presented in this post are presented in an opinion and informative format. Products and information mentioned here have not been evaluated by the FDA and should not be used to diagnose, treat or cure any diseases.